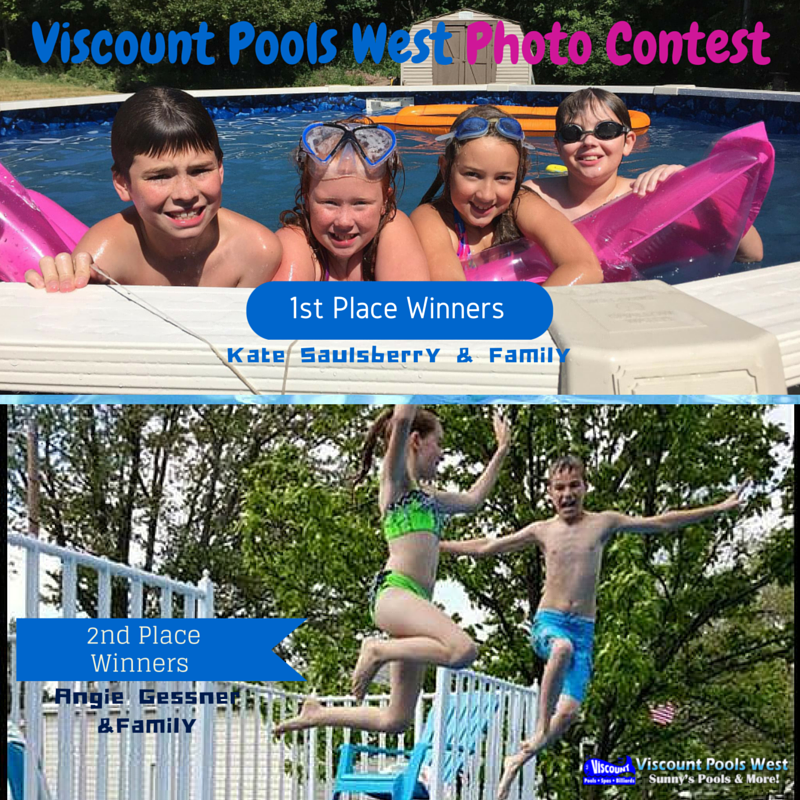 The summer was a blast at Viscount Pools West! We spent the summer enjoying it with our loyal customers and helping them have the best possible experience with pools and spas. It’s time to winterize your pool for the fall and winter season in Michigan. Most Michigan pool owners do pool closings after Labor Day. Closing your pool for winter does not have to be a difficult process. We have a variety of products for pool closing that makes closing your pool a breeze. One of the best pool product lines that we carry at Viscount Pools West is Poolife. The Poolife Pool Care Collection offers the Poolife opening/closing kit which makes closing your pool easy. This all in one pool closing system comes with open/close Algistat, TurboShock shock treatment, and a metal removing agent for up to 20,000 gallons. This product is available at all Viscount Pools West locations. Win a free Poolife Opening Kit / Closing Kit here in our Viscount Pools West’s Funny Photo Contest! Our contest runs from now until Friday, September 11, 2015. 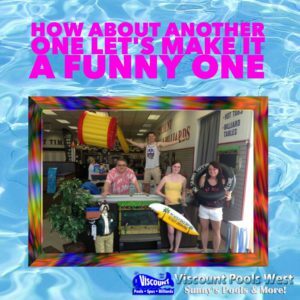 To enter, drop a funny of you using a Viscount Pools West product. Winner will be selected and posted online on Monday, September 14,2015. Don’t forget to click the photo to enter! Congrats to last month’s photo contest winners! Click to say congratulations to the winning families!